The Orthopedics Program at Dell Children’s cares for pediatric and adolescent patients with orthopedic needs ranging from simple fractures to medically complex diseases. The goal of our team is to provide the highest quality pediatric and adolescent orthopedic care and family-centered support for the child, their family, and caregivers. 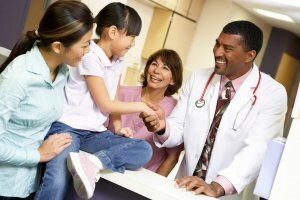 We utilize a multidisciplinary approach which, along with family and patient input, helps us choose the appropriate treatment for each patient. Our services and team members are listed below. After your primary care physician has given you a referral, please contact our staff in the Marnie Paul Specialty Care Center where an evaluation will be arranged and information communicated to the family. Team recommendations will be shared with the primary care physician and other medical providers.